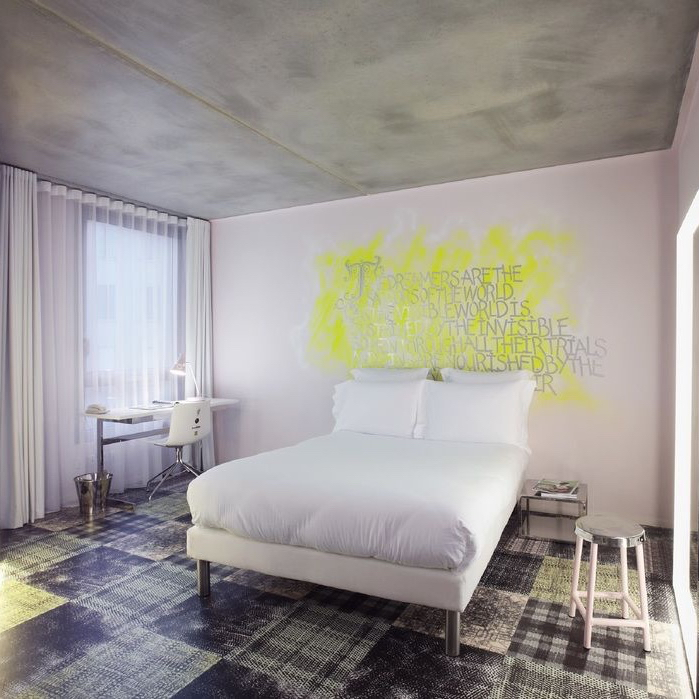 The first Mama Shelter was a bit of a curveball for Paris — a bit edgy, quite budget-friendly, and clearly aimed at an audience that cares more for a vibrant crowd and less for traditional luxury than your typical Parisian boutique-hotel customer. All of which make Marseille a perfectly sensible location for a sequel. The second Mama Shelter is a perfect fit for this diverse, colorful port city, and its location, in between the Old Port and the arty Cours Julien district, puts you equally close to the established tourist sites and the emerging cultural centers. Philippe Starck’s whimsical design sense is in top form here. While he’s quite comfortable at the luxury end of things, he excels at bringing smallish, bare-bones spaces to life. 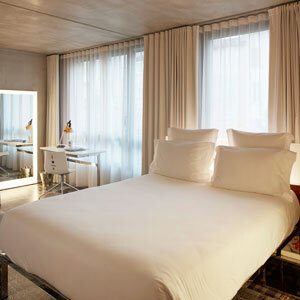 And while Mama Shelter Marseille is far from uncomfortable, it’s equally far from palatial. 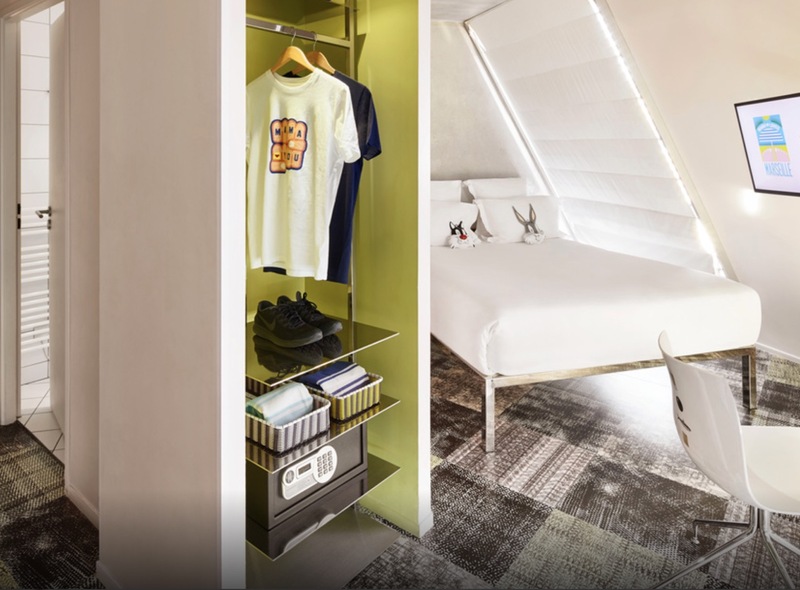 This is the budget boutique done right, with just a touch of plushness in the places where it counts the most — money spent on beds is money well spent, and the in-room iMac serves as the entertainment system. Mostly it’s about sociability, about buzz, and about keeping its inhabitants entertained. The bar dials down the pretentiousness and aims for a game-room vibe, and the restaurant serves inventive yet accessible Mediterranean cuisine, which is accompanied by live music several nights a week. Pure luxury addicts, perhaps, need not apply, though avoiding the boredom of excessive comfort is partly the point — this hotel, like all the newly spawned Mama Shelters, is anything but dull.